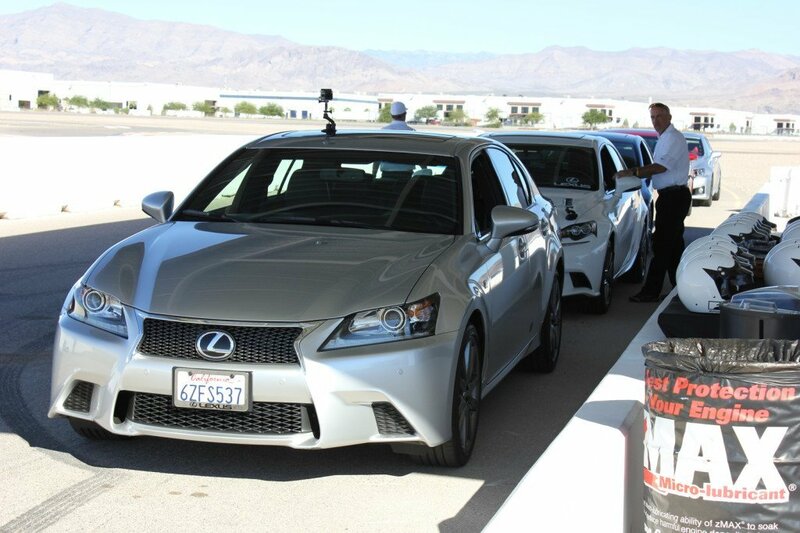 Home Automotive Track Tested: Lexus is Serious About Performance – What’s the F? Track Tested: Lexus is Serious About Performance – What’s the F? Lexus has been making high quality cars for years. They manufacture cars to such a high level of precision and reliability many are left scratching their heads. When I think Lexus, I think of a good car for my family. It’s a stylish car that I don’t have to worry about repairing all the time. I stopped thinking performance when the SC 300 was phased out in the 90s. That car shared the same engine as the infamous Toyota Supra and was an ultimate sleeper. Lexus had the L tuned cars in the early 2000s but without the support from TRD (Toyota Racing Development) it went away within a few years. Not to follow in the same path as before, the new moniker for Lexus performance is “F” or “F Sport”. It’s broken up into 3 tiers. 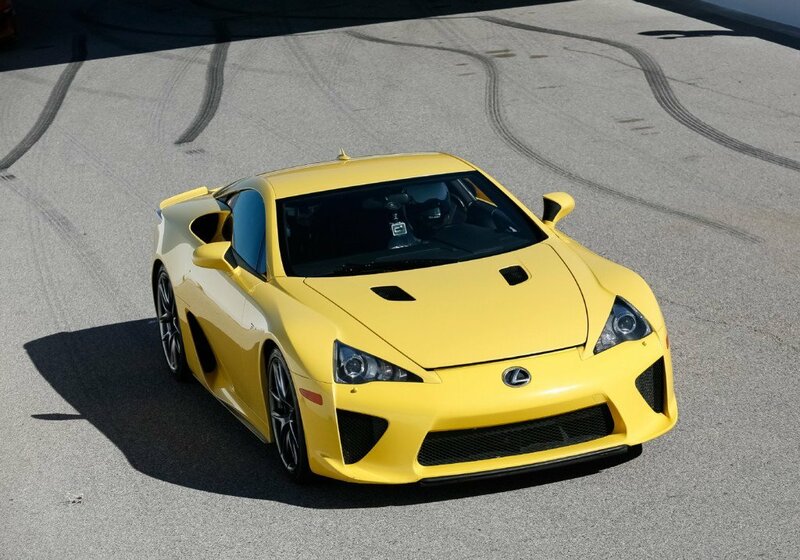 First you have the F cars themselves which includes the Lexus LFA and the IS F. Both of these cars are built from the ground up for maximum performance without sacrificing Lexus quality and reliability. This comes at a premium though. The Lexus IS F starts at almost double what the base model IS 250 goes for, while the LFA will set you back the cost of a decent sized house at $375,000. That is if you can find one. 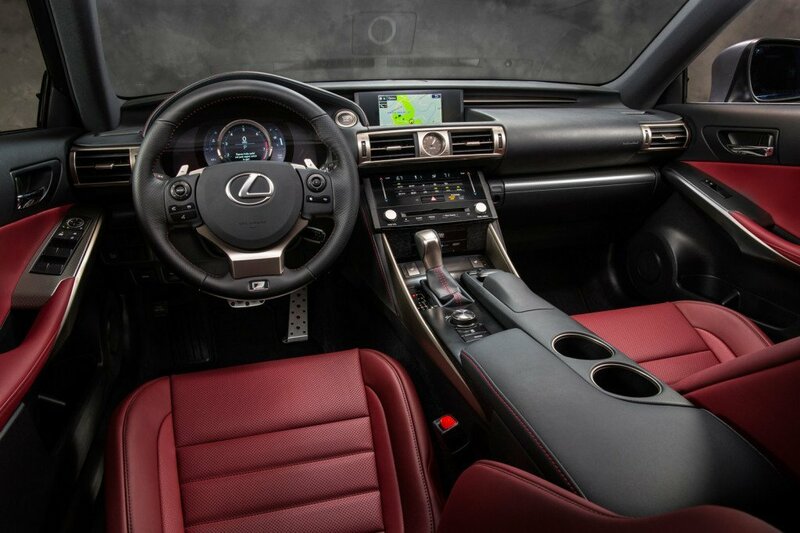 The second tier is the F Sport vehicles which take every day Lexus vehicles and add packages that improve the looks, sharpen the suspension, and tweaks the drivetrain. All of this is designed to give you a sportier looking vehicle, while also making it feel sportier. The feel part is the most important improvement on the new cars, but we’ll get into that later. The last tier is the F Sport accessories that you can buy at the dealer. These parts keep your warranty if installed by the dealer. They range from cosmetics to suspensions, exhausts, etc. I was fortunate enough to be invited out to Las Vegas Motor Speedway to test out the entire new line up of Lexus vehicles. They were all there sporting the F logo on the quarter panel, indicating the “fun to drive” version. The base model Lexus vehicles are no slouch. They’ve been making great cars for a long time now. The F Sport line of vehicles are basically trim packages that take style and driving mechanics to the next level. My personal favorite is the Sport+ mode. What would you say if I told you that simply pressing a button would make your car feel a couple hundred pounds lighter? This was seriously one of my favorite things of the day. Aside from driving the cars themselves, I am still a tech junkie. 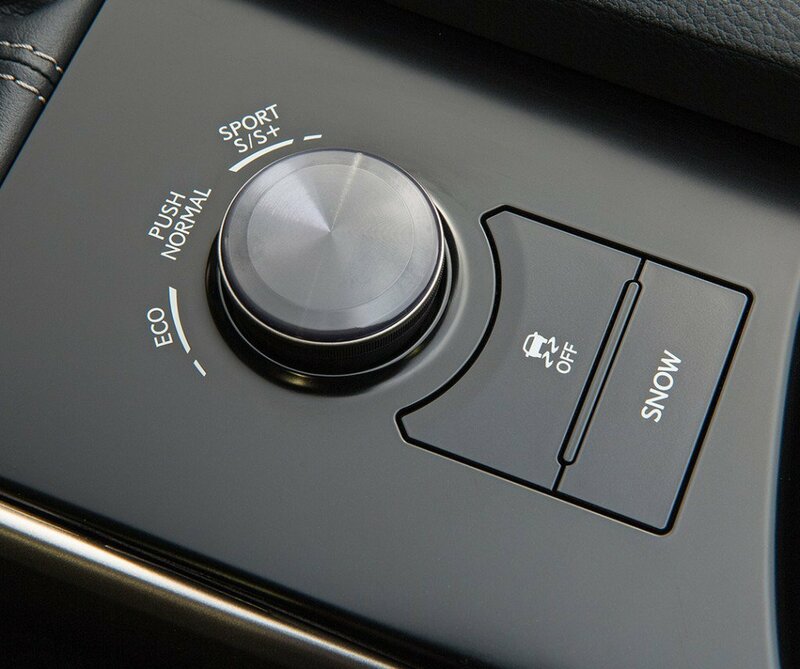 Having a button that sharpens the suspension, with over 20 levels of automatic adjustments, can transform the driving experience. It breathes new life into the car. On the track, Sport+ is simply amazing. You won’t find Sport+ on base models like the IS250, but plan on playing with it on the IS 350, GS, etc. It’s a simple formula. Make a range of cars that caters to a broad audience. Start off with the hybrid model (CT F Sport) all the way to the IS F, you are likely to find something you want. Whether it’s a 42 MPG combined fuel rating or a 416HP V8 engine, you will be satisfied. I’m a performance guy so although the CT F Sport was fun in the autocross course, I knew it didn’t have the juice I want on the highway or road course. The handing was amazing in sport mode though. Instead I found myself loving the GS 350 F Sport. It was surprisingly nimble (only a couple hundred pounds more than the IS) but also had plenty of space. The handing was sharp and the brakes were incredible. It was hard to fathom because I found myself wanting to brake early due to the size of the car, only to find that my eagerness wasn’t necessary at all. You could brake late in the corner, diving into the turn as you flicked the paddle to the appropriate gear. The electronics are there to keep you on the track but not ruin your fun. The IS F was the most fun of course, and the electronic assists are not as intrusive as the more tamed F Sport models. So Lexus spared no expense in treating us fellow bloggers and media guys to the full range of amenities. The luxurious Nobo Hotel in Ceasar’s Palace had the softest of beds and accommodations to go with it. Fresh sushi was brought to us at night along with a great history lesson on the art of Sake. Crafting a good sake is an art form, much like the conception and manufacturing of a Lexus vehicle. The drink seemed fitting for an event like this. 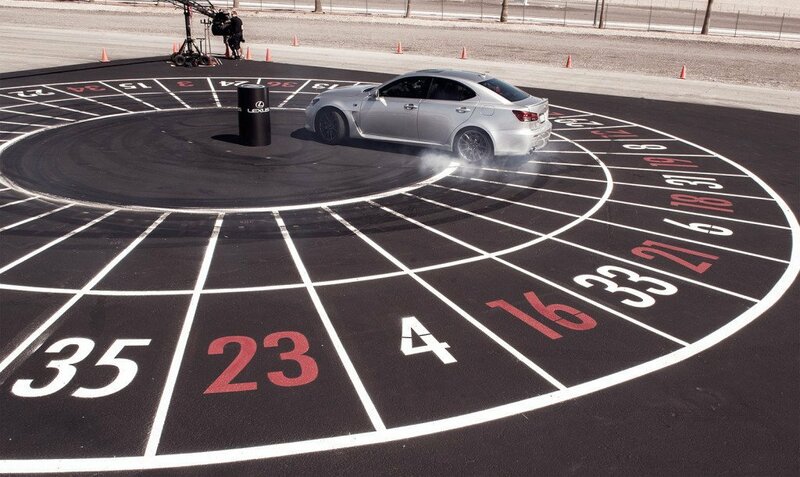 Not to forget the Vegas spirit, we had a few rounds of roulette with Ken Gushi as your host. An IS F drift session around a giant pseudo roulette wheel with the passenger signaling when to stop. We’d place our chips on the number we hoped for then checked the back left tire to see who won. It was a great show of driving talent, Vegas, and tire smoke. Throughout the day we played with the entire lineup of cars. Some cars sat on an autocross course while others waited for us on the much larger road course (over 2 miles). It was a day we all hoped had never ended. I found myself going through each car one by one. When I was done with a drive, I looked to see what the next vehicle available was. There really wasn’t anything I didn’t want to drive. They all offered unique characteristics and were a blast on the track. Joe Currao is a blogger for TMRzoo and Founder of the high tech gaming and gadget site GadgetryTech.com. GadgetryTech.com covers all gaming consoles and platforms including Sony Playstation 3, Microsoft XBOX 360, Nintendo Wii, Sony PSP and computer games and peripherals designed for Mac OS, Microsoft Windows and Linux operating systems. Joe provides his readers with reviews, previews, release dates on the hottest technology trends and up to date tech industry news.